Dry skin is one of the uncomfortable and unsightly skin problem. Due to lack of moisture content, the skin becomes dehydrated, loses elasticity, and becomes cracked. People with dry skin are more prone to itching, peeling, wrinkles and fine lines. It has to be treated on time, or else it can provide way to bacterial infections and cause dermatitis. The market is loaded with many commercial solutions to treat dry skin but they contains harsh chemicals which can damage skin’s immunity. Fortunately, there are some natural remedies such as oatmeal that can be used to address the problem of dry skin successfully. Is Oatmeal Useful for Dry Skin? Oatmeal contains polysaccharides which help to form a protective layer on the skin to prevent moisture loss from the skin. The healthy fats found in oatmeal moisturize the dry skin cells and rejuvenate them. Saponins present in oatmeal exfoliates dry skin cells from the skin surface and renders a smooth texture to the skin. Anti-inflammatory properties of oatmeal protect the skin against dryness and damage caused by sun exposure. 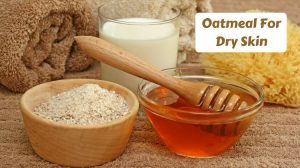 How to Use Oatmeal for Dry Skin? Here is how you can incorporate oatmeal packs in your skin care routine. Choose one among the several methods mentioned below and try them regularly until you notice the results. Take 1/2 a cup of whole oats and blend it in a food processer to make a fine powder. Fill your bathtub with warm water and add the oats powder into it. Run your hands in the water to dissolve the oats powder in the water. Soak your body for 15 to 20 minutes. Note – You can also add any bath oil or essential oil to the water to make it extra-moisturizing. Take 2 tablespoons of whole oats and grind it in a food processor. Combine oats powder and 2 to 3 tablespoons of hot water. Leave it aside for 5 minutes so that it cools down to a lukewarm temperature. Apply it to your clean face and massage in circular motions for 5 minutes. Rinse it off with cool water and wipe with a soft towel. Apply a moisturizing cream or lotion to your skin. Follow this procedure 2 to 3 times in a week. Being a natural humectant, honey locks moisture in the skin and helps to retain it. Antioxidants in honey protect the skin against the free radicals that cause skin damage and dryness. Combine 2 – 3 tablespoons of oatmeal and enough amounts of water to make a mixture. Add 2 tablespoons of raw honey into it and mix it thoroughly with a spoon. Apply this mixture to your skin and massage for 5 minutes. Let it dry for 15 minutes and then rinse off with cool water. Repeat this method once in 2 days. Yogurt is a rich source of zinc that acts as an anti-inflammatory agent and helps to prevent skin dryness caused by sun exposure. Lactic acid present in yogurt breaks down dead skin cells whereas calcium promotes skin cell renewal. Mix 2 – 3 tablespoons of oatmeal and 2 tablespoons of plain yogurt. Apply this mixture all over your face and let it sit for 20 minutes. Rinse off the application with lukewarm water and pat dry with a towel. Follow this procedure twice in a week. Lactic acid present in milk exfoliates dry and dead skin cells from the skin surface. Calcium present in milk boosts collagen production while potassium helps to moisturize dry skin cells. Vitamin A found in milk treats dry, flaky and peeling skin. Add 2 tablespoons of lukewarm milk to it and let it sit for 5 minutes. Stir it using a spoon and apply this mixture to your skin. Wait for 15 to 20 minutes and rinse off with water. Note – You can increase the amount of milk to get the desired consistency of the pack. Always use full-fat milk for this remedy. Banana is a rich source of mineral potassium that moisturizes and rehydrates dry skin cells. B-complex vitamin and vitamin E found in bananas prevent skin dryness caused by free radical damage. Mix 2 tablespoons of oatmeal and add some warm water to make a paste. Take a ripe banana and mash it with the help of a fork. Add the mashed banana to the oatmeal paste and mix it with a spoon. Apply this mixture to your face and leave it on for 15 to 20 minutes. Enzyme papain present in papaya possesses exfoliating properties. Vitamin C, vitamin E, vitamin A, folate, potassium and magnesium present in papaya hydrates the dry skin. Take 1/2 cup of unripe papaya cubes and blend it in a food processor to make a paste. Add 2 tablespoons of oatmeal and some water to it and mix well. Take a shower or bath with cool water. Follow this process twice in a week. Lemon juice is loaded with vitamin C that promotes the production of collagen which helps to reduce the appearance of fine lines and wrinkles. It is also a powerful antioxidant that protects the skin against damage and dryness caused by free radicals and oxidative stress. Take 2 to 3 tablespoons of oatmeal in a bowl and add enough water so that it forms a thick paste. Add the juice of 1 lemon to it and mix it with a spoon. Apply this mixture all over your face and leave it on for 10 minutes. Rinse off the application with cool water and pat dry. Note – Don’t go out in the sun after using this pack because it contains lemon that may cause photosensitivity. The sugar granules make a mild exfoliant that removes the dry skin cells without damaging the skin. Glycolic acid present in sugar maintains the perfect oil balance in the skin and prevents the skin from over-drying. Take 2 tablespoons of whole oatmeal and grind it to make a fine powder. Add 1 tablespoon of fine sugar to it and mix it with a spoon. Wet your face and apply this scrub to your skin. Massage gently for 5 minutes and then leave it on for another 10 to 15 minutes. Follow this remedy 1 to 2 times in a week. The calming anti-inflammatory effects of aloe vera gel helps to heal severely dry skin caused by excessive sun exposure. Aloe vera gel also moisturizes dry skin and helps to improve the texture of skin. Take 2 tablespoons of oatmeal in a bowl and add enough warm water to it to make a paste. Add 1 tablespoon of aloe vera gel to it and mix it with a spoon. Repeat this process 2 to 3 times in a week. The healthy fats in avocado moisturize the skin and forms a protective layer on the skin surface. Vitamin A and amino acids in avocado remove dry and dead skin cells from the skin while potassium rehydrates the dry skin cells. Take 2 tablespoons of oatmeal in a bowl and add enough warm water to make a paste. Discard the seed and scrape out the pulp from inside the avocado. Use a fork to mash the avocado and get rid of any lumps. Add the mashed avocado to the soaked oatmeal and mix with a spoon. Apply a coat of this mixture all over your face and let it sit for 15 to 20 minutes. The oatmeal packs can dry out quickly and stick to your skin. While removing it off, sprinkle some water to the area and massage with your fingers to get it off your skin. Removing it while it is completely dry can harm your skin. Don’t apply oatmeal packs to your eye lids or around the eyes, because it can dry out the soft and delicate skin around your eyes. Always opt for whole organic oatmeal for the treatments. People suffering from celiac diseases or having gluten intolerance might experience allergic reaction to oatmeal. Therefore, it is recommended to perform a small patch test before using these remedies. Those suffering from eczema should avoid these topical oatmeal treatments. Topical application of oatmeal can worsen eczema and cause skin irritation. Moisturize your skin twice a day using an oil-based moisturizing cream or lotion. Use a mild natural exfoliant to exfoliate your skin 2 to 3 times in a week. Don’t use alcohol-based skin-care products to treat your skin. Avoid using hot showers, use lukewarm water instead. Apply a sunscreen with high SPF whenever you go out in the sun. Drink plenty of water every day to keep your skin hydrated from inside. Try any of these remedies regularly and say goodbye to dry skin, itching and flaking naturally. 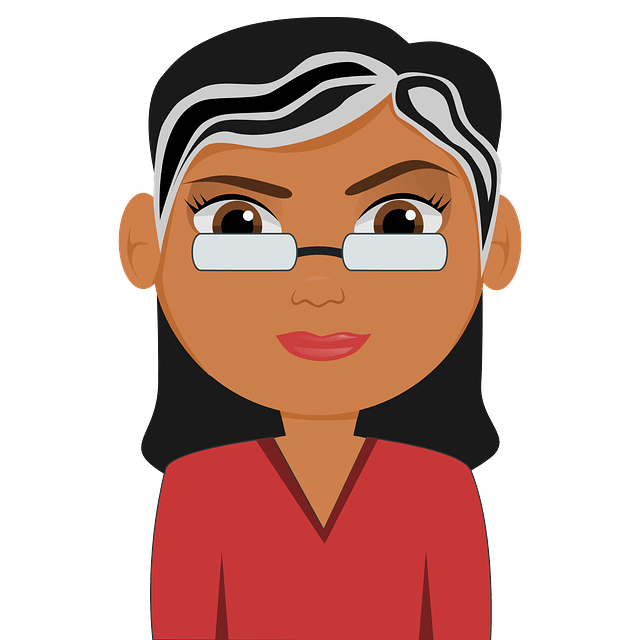 Don’t forget to share your experiences and queries with us in the comments section below. name of Oatmeal product that you showed for dry skin on todays show. A two step lotion for dry skin.